Glacier nitrile gloves offer waste-reducing packaging, latex-like comfort. 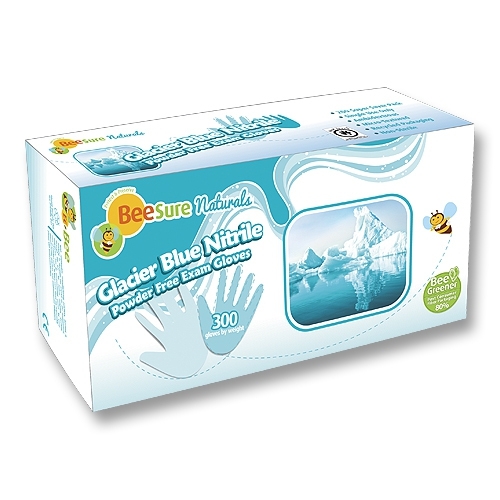 BeeSure Naturals Glacier Powder-Free Nitrile Exam Gloves have a thin design that is soft and elastic for latex-like comfort. Micro- textured fingertips improve wet grip. Waste-reducing package holds 300 ice blue gloves per box in sizes XS, S, M, L. Box measures 9"L x 5 1/4"W x 4 1/4"H.